Head to hall 5, stand 5930 at MACH 2016 for live interactive demonstrations and a chance to win a Nikon D750 DSLR camera. Nikon Metrology offers innovative measurement products, including vision measuring systems complemented by optical and mechanical 3D metrology solutions, responding to the advanced inspection requirements of the consumer, automotive, aerospace, electronics and medical industries. Come and visit stand 5930/hall 5 for live interactive demonstrations. Visit http://www.nikonmetrology.com/en_EU to find out more. 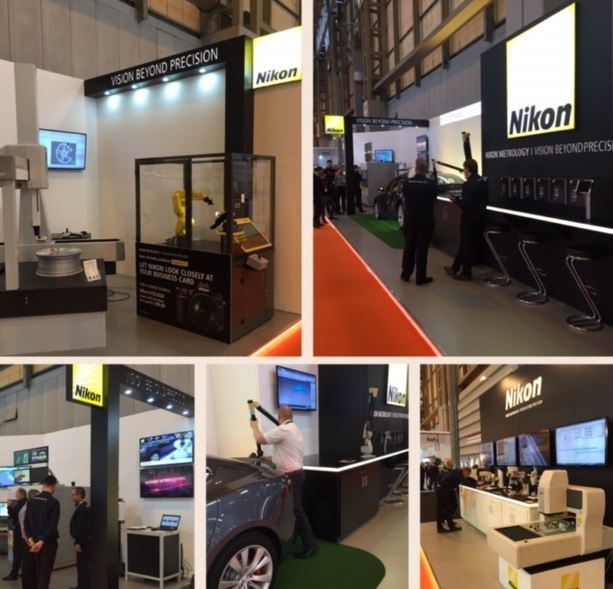 Day one: images from the Nikon stand at MACH 2016 (hall 5, stand 5930 – NEC, Birmingham).